After 2 year, book 6 is here! A collection of 67 1024x1365 pixels full color drawing of children in action. Comics for people of all ages. 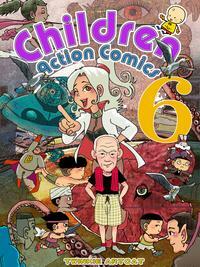 In this issue, we have 5 action story about the children. They are &apos;Jack And Long-Ear&apos;, &apos;Virtual On&apos;, &apos;Big Apple Small Apple&apos;, &apos;Fantasy Action&apos; and &apos;Arrow&apos;.